Forumotion forums are now available on a unique mobile app: Topic'it. 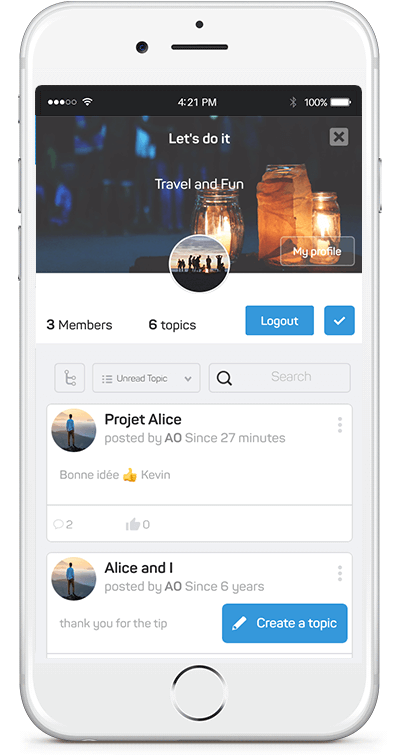 Download Topic'it for free and enjoy browsing your favourite forums on smartphones and tablets.. Topic'it lets you access and browse your forums and message boards on the go. The best Forum Mobile App for your community! Topic'it is now available as a free download on the Apple App Store and Google Play store for smartphones and tablets. Minimum requirements: iOS8 version for Apple devices and the 4.3 version for Android. Topic'it connects you to communities in a fun way. Follow news and stay-up to date with a user-friendly application! Access all your forums in a single app for free. Forumotion forums are automatically compatible with Topic'it. No action is required on your part. 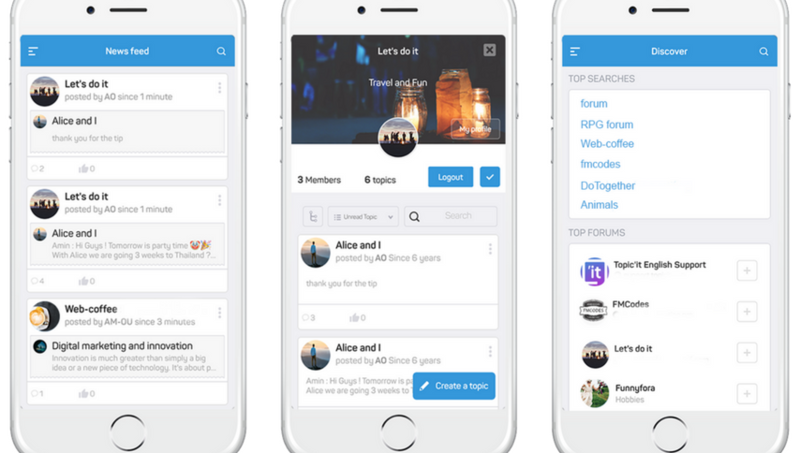 From now on members can find, register and connect to their favourite forums directly via Topic'it. Moreover, Forumotion forum administrators can enjoy exclusive Topic'it options. Those settings are automatically implemented on the administration panel. For more information, please refer to the following announcement on our official support forum: Forumotion forums are now available on Topic'it app. What does Forumotion forums look like on Topic'it? Create a free forum with Forumotion and enjoy browsing your forum discussion on mobile. It is easy and fast! Only 5 minutes are needed to create a free forum. You don't need any technical skills to manage and personalize your own forum. To get started, visit our forums creation form page, fill all required fields and then submit : well done, your forum has been created ! Then, personalize your forum thanks to our Hitskin themes and make it known on Forumotion board directory!